Not long after I started my consultancy business I was invited by my local town council to attend a ‘community visioning’ workshop. It taught me a lot about engagement principles. I was interested to see how it was run from a facilitation perspective, along with the results it produced. It would turn out to be a great learning experience, particularly in being aware of the ‘seagull’ (not the elephant) in the room. My wife, Georgie, and I both decide to go. We’re thrown in with a diverse range of people from across our community who had all devoted a Saturday to attend. Our facilitator leads us through lots of engaging and participatory activities. We’re able to discuss, describe and even draw the elements of our vision for the future of our community. The end of the day draws close. We’re all pretty well puffed, but still chuffed with all our creative, future-focused efforts and suggestions. craps all over the place and then leaves again. We all felt deflated as we trudged home. The upside was the valuable lessons that I’d just been taught about facilitating stakeholder engagement and participation. In the seagull experience this wasn’t made clear from the start, leaving lots of people disenchanted with the process. Soon after, I was introduced to the International Association for Public Participation (IAP2). It provides valuable, simple to use tools and templates to use in stakeholder engagement design processes. 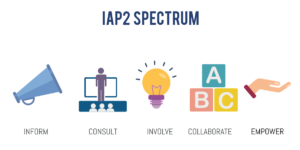 A really useful tool is the IAP2 Spectrum of Public Participation. It’s a great tool to guide the design of engagement processes for the development of stakeholder engagement plans and processes. It shows the levels of stakeholder involvement in engagement processes. Each stage of the spectrum is valid as long as the stakeholders you’re asking to participate understand their level of influence. Moving from the left to the right hand side of the table requires increasing levels of trust and willingness to work together. 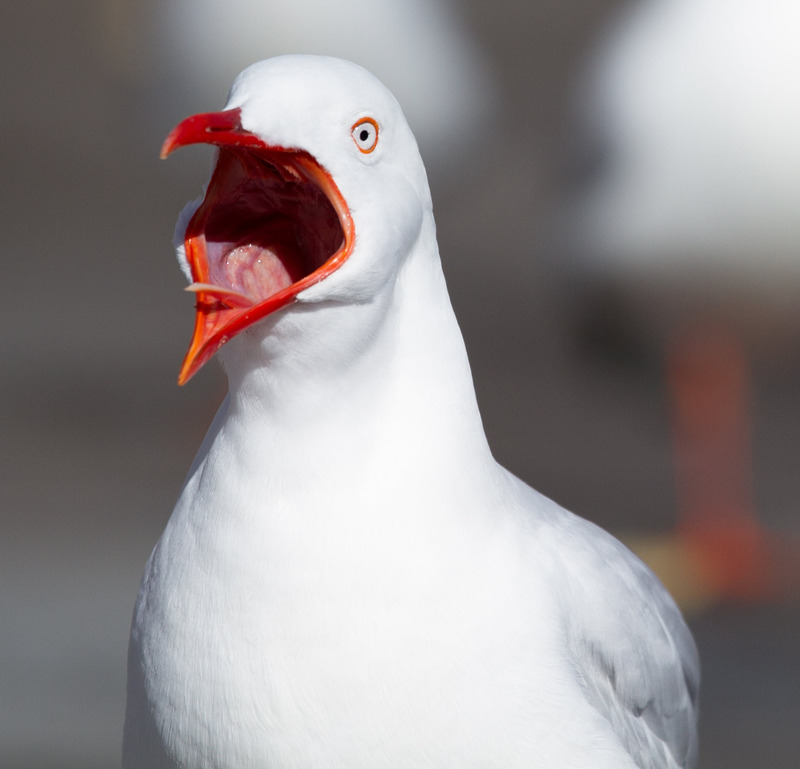 Looking back at ‘Lesson 2’ – Mayor Seagull’s view of our role was in the ‘Consult’ stage. Whereas participants in the process were assuming we were closer to the ‘Collaborate’ stage. Realistically, we probably should’ve been within the ‘Involve’ stage. In designing your own engagement processes, it’s vitally important that you have agreement with your client on which stage of the IAP2 spectrum that the process focuses on. The level also needs to be clearly communicated to anyone participating.